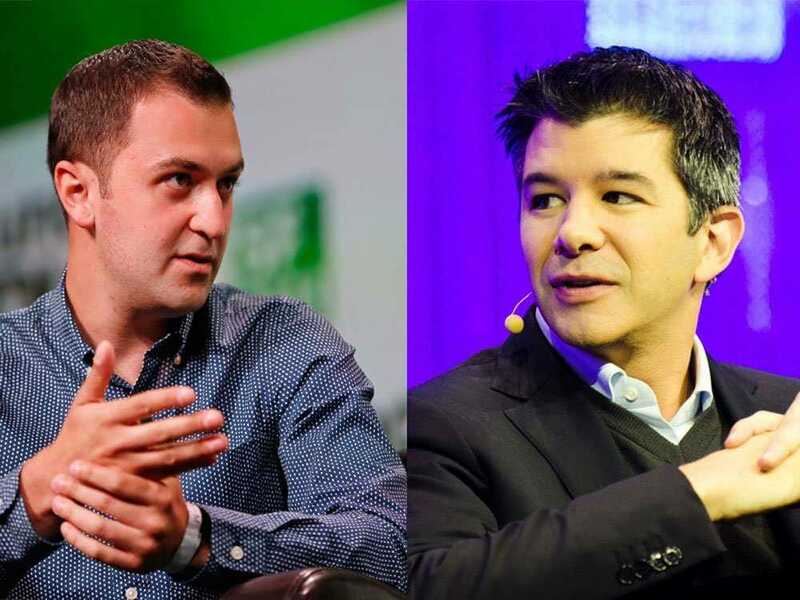 Reuters/WikimediaJohn Zimmer (left), the founder of Lyft, and Travis Kalanick, the founder of Uber. Lyft is accusing a former executive of sharing company secrets with rival Uber, reports The Wall Street Journal’s Douglas MacMillan. Lyft has filed a lawsuit against its former chief operating officer, Travis VanderZanden, whom it alleges downloaded a number of confidential documents to his personal Dropbox in August. Those documents included financial data and information on future products, according to The Journal. VanderZanden joined Uber in October. Lyft learned that VanderZanden allegedly took the proprietary information with him because his personal Dropbox account was linked to his company laptop. VanderZanden’s former employer is also accusing him of poaching Lyft employees, which it claims is a violation of his confidentiality agreement. We’ve reached out to Uber and will update this post when we hear back.